The new and improved 29.5-E.63 Bridge Replacement Project in the Fruitvale area is now complete! The bridge was built in 1964, and due to functional and structural issues, it was completely replaced. Grant money funded eighty percent of the project. The concrete bridge structure is safer and wider for pedestrians and vehicles. 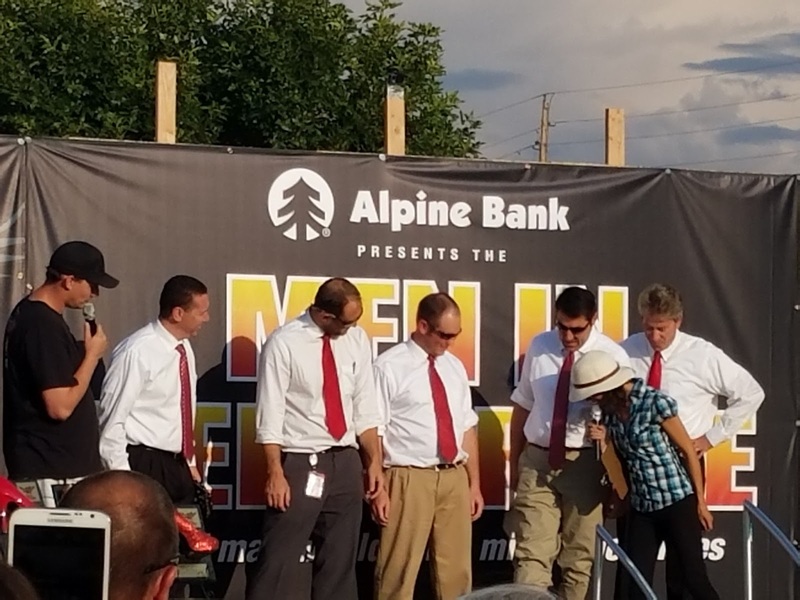 Mesa County thanks, motorists in the Fruitvale community for their patience! Construction at the Mesa Animal Services facility, 971A Coffman Road, got underway May 2017 and is still undergoing many renovations. Construction is expected to be complete by the end of November. Drywall is going up at the Animal Services Building. Interior walls make a big difference in making the project look like things are finally coming together. Interior walls in the Animal Services building are ready for the next phase. The exterior contractor access point, on the south side of the Animal Services building, was re-bricked this week. 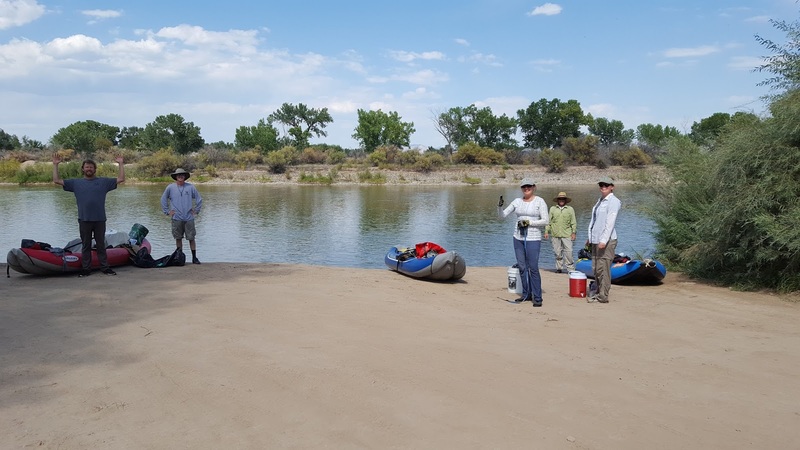 Mesa County Noxious Weed & Pest Management and Colorado Department of Agriculture employees floated the Colorado River through Grand Junction locating and treating purple loosestrife plants that escaped from residential ornamental plantings in the Redlands area to prevent them from overtaking native plants in the riparian area. 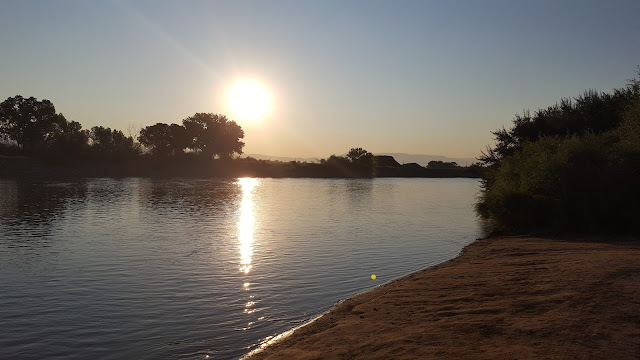 The sun rises over the Colorado River as Mesa County Noxious Weed & Pest Management team gets ready to launch and treat the non-native plant purple loosestrife. Mesa County Commissioner Rose Pugliese shares the latest developments on the Jordan Cove Pipeline Project with KFQX (FOX) Anchor Chelsea Helms. 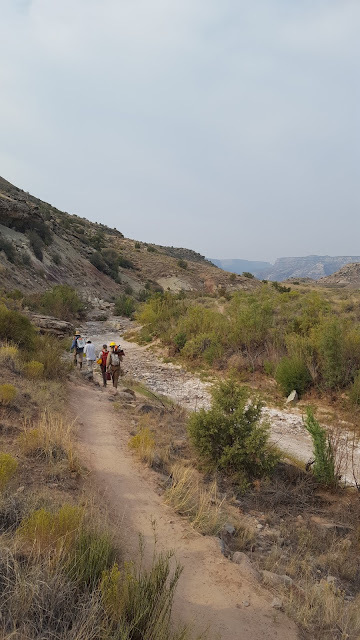 Mesa County Commissioner Rose Pugliese talks to KFQX (FOX) Anchor Chelsea Helms about her recent meeting with Takeshi Soda, an official from the Japanese Ministry of Economy, Trade and Industry (METI), about the progress of the Jordan Cove Pipeline Project. Mesa County Commissioner Scott McInnis spotted a tiny hummingbird nest near the Old Mesa County Courthouse, 544 Rood Ave. A hummingbird can weigh anywhere between 2 and 20 grams, to put it in perspective a penny weighs 2.5 grams. Two hummingbirds sitting in a nest. Hummingbirds are the only birds that can fly both forward and backward, and can also hover in mid-air, fly sideways and even upside-down. 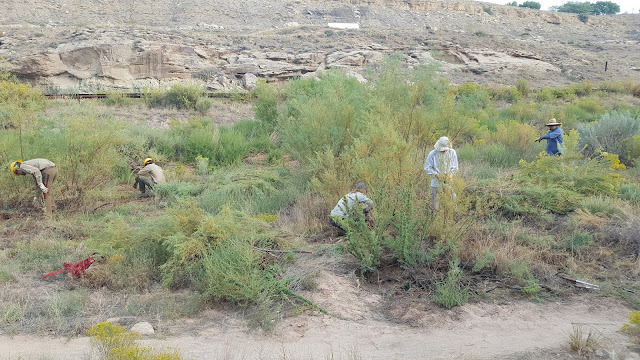 Mesa County Noxious Weed & Pest Management and Southwest Conservation Corps crew members trim and treat re-growth on tamarisk trees in No Thoroughfare Wash by the Lunch Loops. 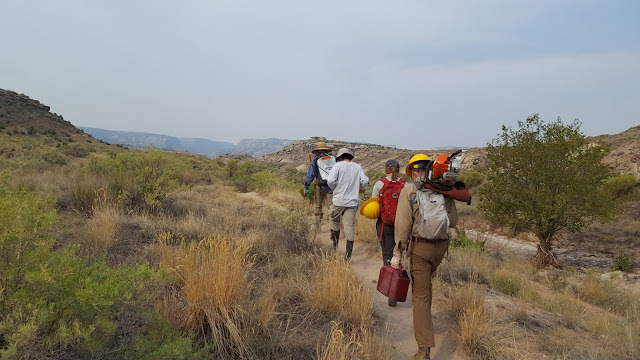 Southwest Conservation Corps crew members from Durango help Mesa County and other local agencies with tamarisk removal around the valley. Mesa County, the Tamarisk Coalition, Natural Resources Conservation Services, Mesa Land Trust and other land owners partnered for initial tamarisk and Russian olive tree removal in No Thoroughfare Wash along Monument Road in winter 2015. Re-treatment of new growth is required to prevent the invasive species from crowding out the waterway again. 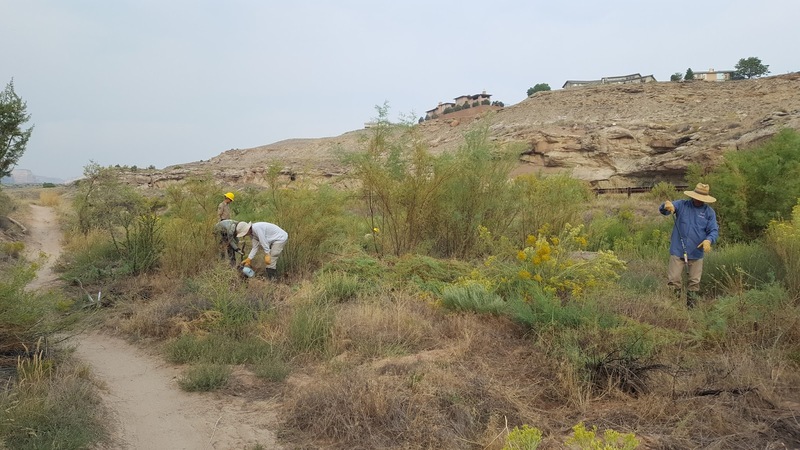 Mesa County Noxious Weed & Pest Management crew members Alan Barbee and Trace Levinson trim and spray new tamarisk growth with Southwest Conservation Corps members, who also take chainsaws to the larger stumps and branches. 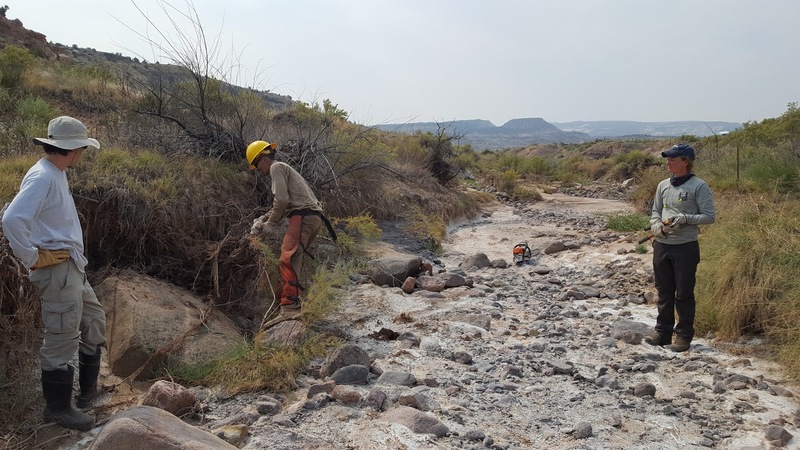 Trace Levinson prepares to help a Southwest Conservation Corps crew member remove a dying tamarisk stump from the side of the wash.
All male teams from across the Grand Valley slip on their fancy footwear as they compete in the 8th Annual Men in Heels Race. 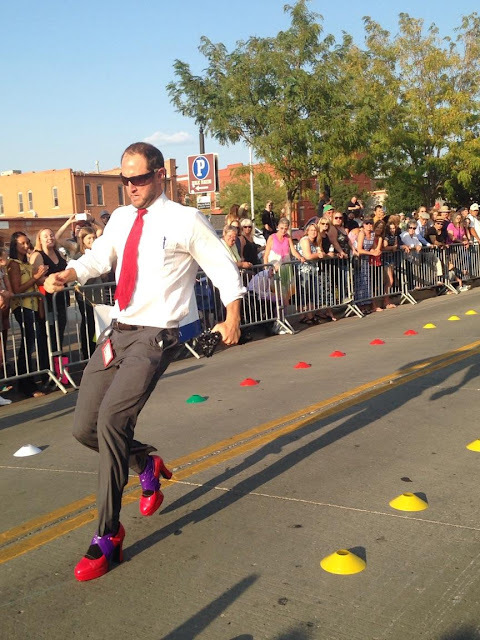 This entertaining and fun race benefits Hilltop’s Latimer House, which provides emergency shelter and vital services to those affected by domestic violence and sexual assault. Many Mesa County staff members from various departments participate in the race to support and raise funds for Hilltop's Latimer House and Domestic Violence services. 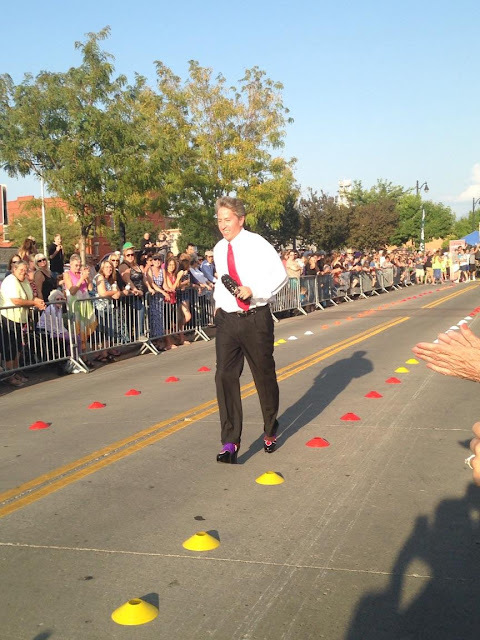 The race took place at 5:30 p.m. on Thursday, Sept. 7 at the last Downtown Farmers Market. From left: Curtis Englehart, Michael Smith, Josh Kennedy, Victor Carreras, Brian Oney. Congratulations, DHS/Workforce Center team for taking second place! Mesa County District Attorney Dan Rubinstein runs in heels in support for the Latimer House, which helps fight domestic violence. 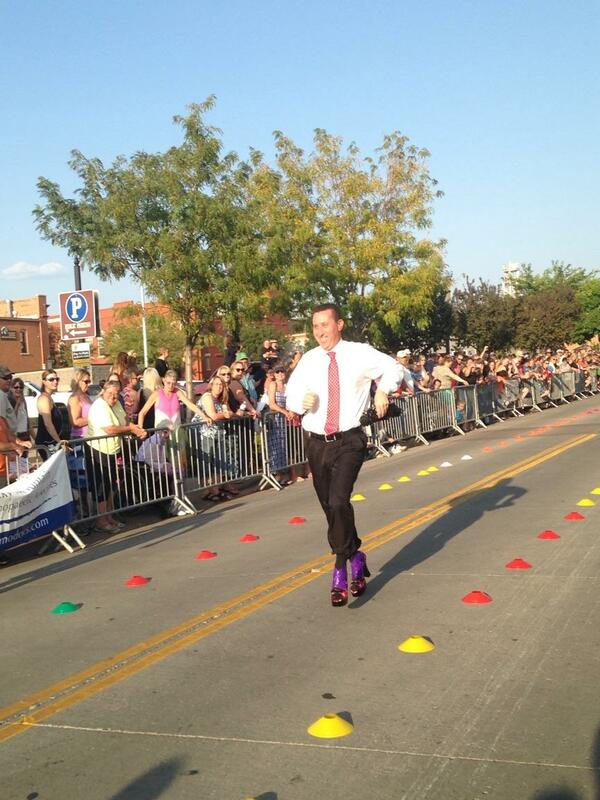 Check out Mesa County District Attorney Dan Rubinstein's purse. 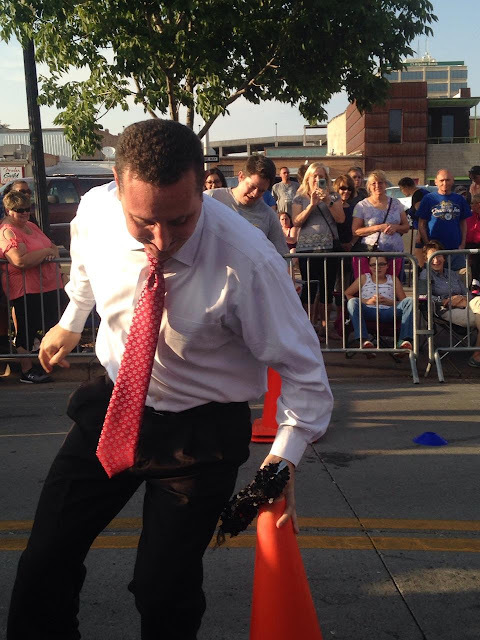 Taking a turn in heels can be tricky. Good job! 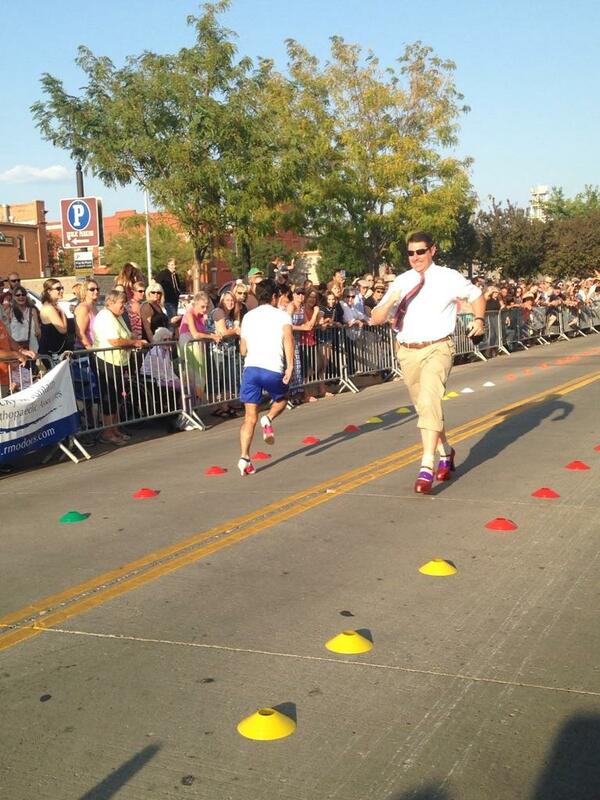 The race to support the Latimer House took place on Colorado Ave. between 4th and 5th Street in Grand Junction. The District Attorney's Office team race in high heels to raise money and awareness for Hilltop's Latimer House and Domestic Violence Services. Assistant District Attorney Rich Tuttle kicks up his heels and makes a run for it. 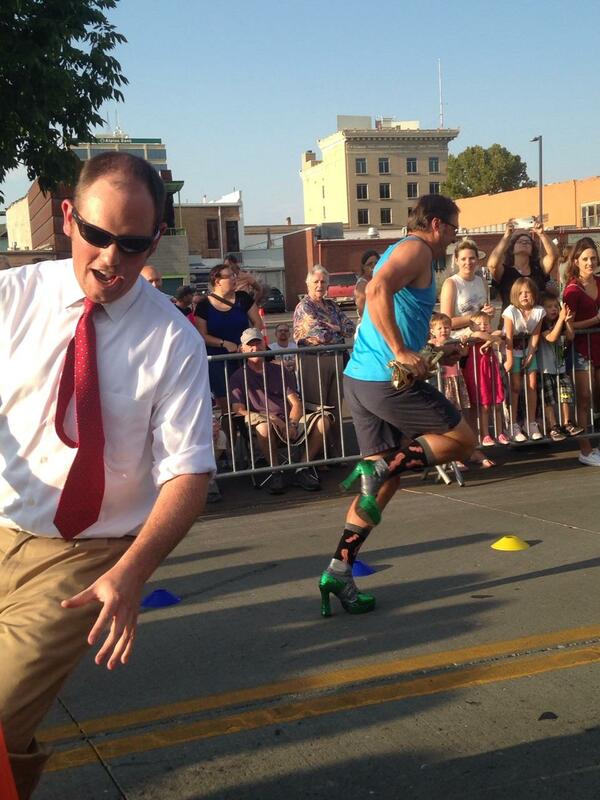 Because a real man would run a mile in her shoes! Way to go, guys! You guys rocked it. Congratulations to all teams who participated, you make us proud. Pear Park Elementary has kicked off the school year teaching students road-safe bicycling and walking skills through the Safe Routes to School (SRTS) program. 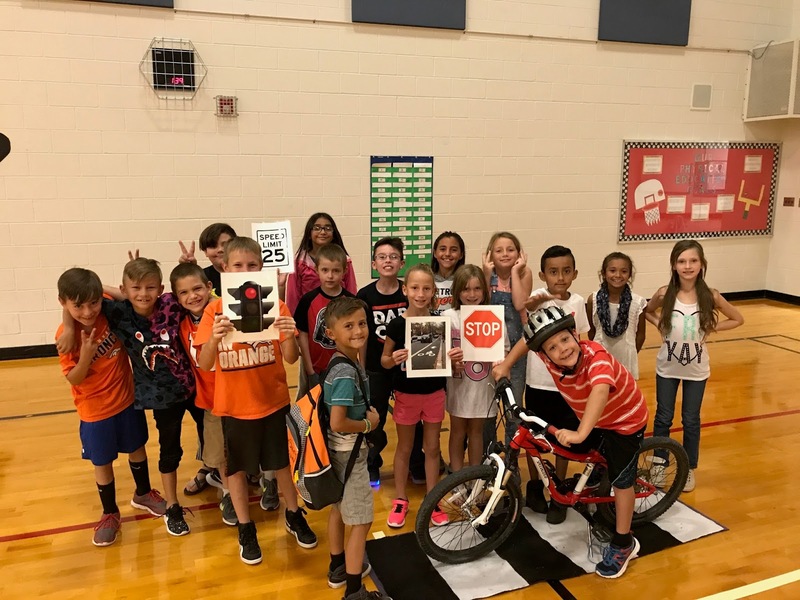 The goal of SRTS is to enable more children to walk and bike to school more often. This is the fifth year that Pear Park Elementary has taught SRTS to students-reaching over 1,500 children at this school alone. Many District 51 schools utilize the SRTS program each year. For more information about the SRTS program, please visit http://rtpo.mesacounty.us/.